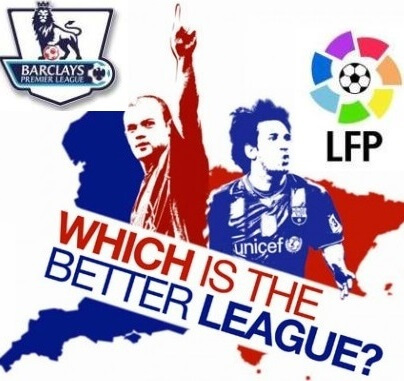 Premier League vs La Liga - Which Is better Soccer League ? 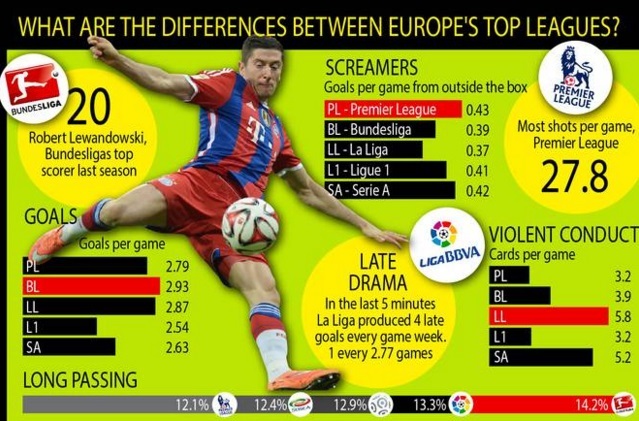 Premier League vs La Liga – Which Is better Soccer League ? English Premier League has set the standards on so many scales including lucrative tv rights deal, most popular professional sport league, most watched league and also one of the highest attended football league in the world. While Spanish La Liga is playing second fiddle to Premier League in most cases but one thing Spanish clubs are good at is winning in europe while Premier League clubs are struggling in europe since the turn of the decade 2010’s. When Premier League signed the new record breaking TV deal last year there were quite a few eye brows raised and it prompted other league’s to follow the same sharing model which is used in Premier League to keep up with enormous buying power Premier League clubs starting from 2016-17 season when the new deal kicks in. 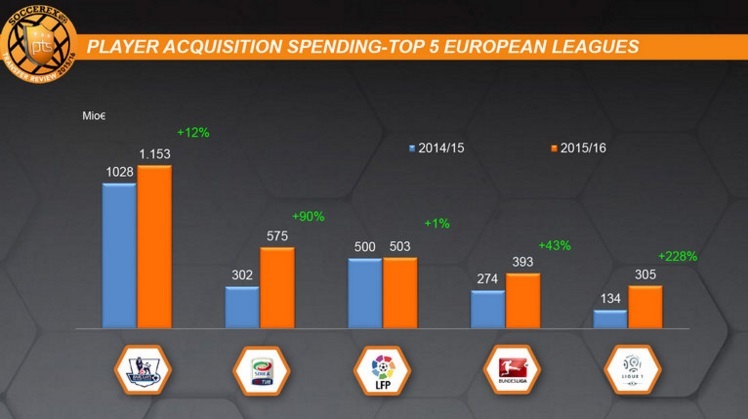 With the new tv deal even the 20th place club will be making around £100 million (€127). Meanwhile in Spain Real Madrid and Barcelona dominated on and off the field with their individual tv rights deal earning them in access of €140 million a year when other spanish club bare;y made between €15 million to €50 million a year but as the Spanish government pushed La Liga to equal tv rights deal things will slowly start to improve for bottom half of the clubs in spain. Premier League and Spanish La Liga are by far the best football league’s in the world and we decided to compare the both and see which league is the best football league in the world. We will be using different criteria’s ranking from on field performances, star power, money aspect and overall popularity. 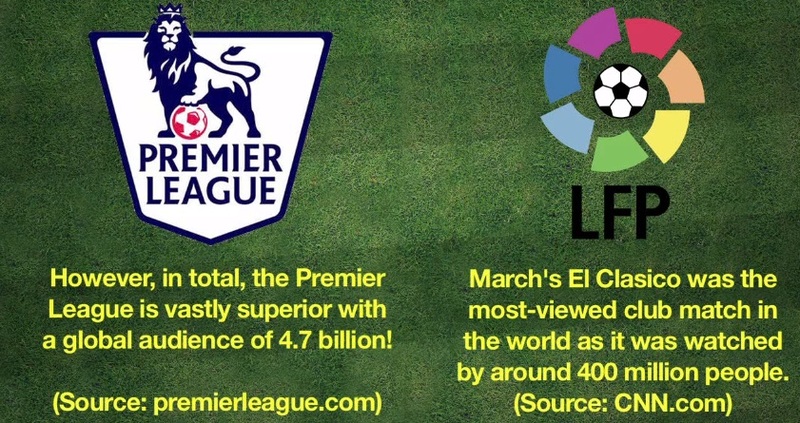 No contest here, English premier League is by far the most watched and followed professional sports league not only in football but sports in general. Premier League is by far the best marketed, better structured, highest average attended of the two and generally better value for money as recent domestic and oversees tv deals blow away other leagues. Again this is another factor where Premier League wins hands down with highest average attendance second only to German Bundesliga. Premier league average attendance per match is around 37,000 while in Spain average attendance is mere 26,000. Even a bottom of the league clash is sold out more often in premier league while in Spain away stands are mostly empty apart from Real Madrid/Barcelona home matches. 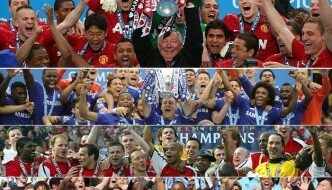 Since 1992 when european football was reformed Premier League has gone from strength to strength. Since 1992 Manchester United have dominated premier league but there were several years patches where Blackburn, Arsenal, Chelsea and Manchester City won the bragging rights in English football. We have had 5 different premier league champions since 1992 while in the last three years 2013, 2014 and 2015 three different teams has won the league. Competitiveness can be described as unpredictable results. More teams in premier league have decent chance of beating top teams in the league compared to Spain where Barcelona and Real Madrid rarely lose outside the top 3 or 4 teams. You can tune in to any premier league game and it looks so competitive from first minute to the last with teams fighting for every goal and point. This season leicester City has kind of rocked english football topping premier league in the first 24 games while teams like Watford, Crystal Palace, Southampton and West Ham are also doing great and hard to beat. Barcelona and Real Madrid has won Champions League 15 times between them while Barcelona is the most successful team in last couple of decades winning champions league 5 times. 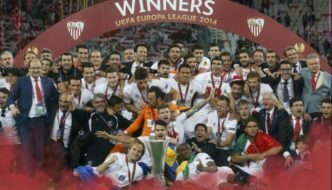 Sevilla has won 4 Europa league titles and widely regarded as kings of europe’s second fiddle competition. However in the recent history more Premier League club have won Champions league compared to Spanish teams where only Real Madrid and Barcelona have gone on to win. 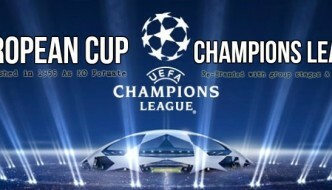 From 2006 to 2012 Premier league clubs were a force in europe with Chelsea, Manchester United, Arsenal and Liverpool consistently appearing in quarterfinals and semifinals. There is a big stigma attached to English football that team in premier league don’t play attractive football. Which is true to some extent if we compare premier league or Spanish league where technical strong players are preferred over physical but you don’t often see Getafe beating Real Madrid or Barcelona while in Premier League a rainy cold night in Stoke can undone even the likes of Arsenal, Chelsea and United. Premier league offer more styles of football, with Arsenal you get free flowing one touch football which even impressed Pep Guardiola. Tottenham also play some superb all round football while Sir Alex Ferguson Manchester United relied heavily on fast direct approach with wingers pouring in crosses all day. Than you have Chelsea who tend to alter their game with every opposition, they can park the bus against better teams to get results and dominate other teams. West Ham and Stoke City try to take physical and long ball approach. Ronald Koeman’s Southampton and Roberto Martinez’s Everton have improved over the the last few years giving Premier league fans something new and different every week. But when it comes to pure football, Spanish clubs like Sevilla, Atletico Madrid and Villarreal can dominate any premier league side on a given day. Personally I would rather watch my team play against different styles but to conclude “quality of football” I would rank Spanish League higher than premier league. As far as the quality players are concerned Spanish La Liga wins it hands down considering two of the greatest players of our generations Ronaldo and Messi has played for Real Madrid and Barcelona respectively while Neymar, Suarez, Iniesta, Gareth Bale who are currently regarded top 5 players are all playing in Spain. While former greats like Luis Ronaldo, Ronaldinho, Zinedine Zidane, Luis Figo, Rivaldo, Kaka, Fabio Cannavaro has played in Spain. Premier League also had great players over the years but when it comes to truly greats Spain La Liga privileged to have seen some of the all time greats play in spain. When the 2016-17 season ends which will be the first year of new TV rights deal, Premier league clubs will pocket somewhere between minimum £100 million (for 20th place team) to £150/£160 million for league winners. Spanish FA and other top european leagues are already concerned by the money premier league clubs will have to spend on top players. Stoke, West Ham, Southampton, Everton are already spending big while Pep Guardiola going to City, Mourinho likely to take over as United manager next season will only enhance premier league marketing ability. So money wise Premier league blow away competition from all other football league. Let us know your thoughts by voting and by using the comments section below. We would love to hear your thoughts on which football league is the best in the world and why ? 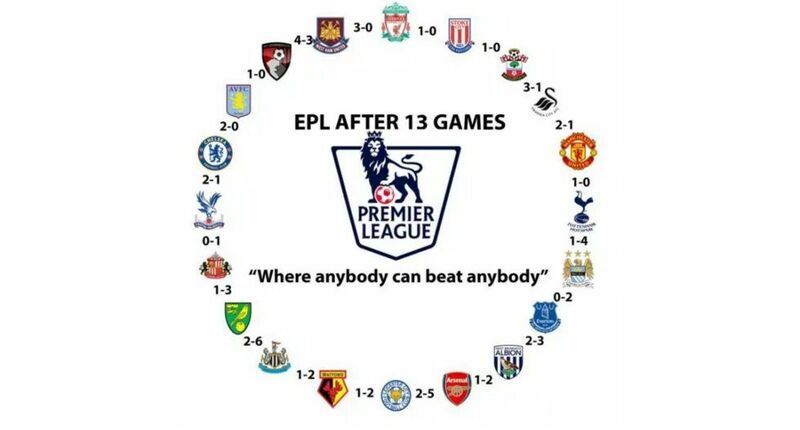 EPL is not in the top three. People that don’t know football watch EPL. NO SIR, IT means you your self doesnt know football. football was invented in England that’s why the world watches the original football leagues. The only reason the top teams in Spain have dominated Europe recently is big Spanish clubs sold their TV rights independently. And Spain’s biggest banks have bankrolled your big clubs for decades. So basically Madrid and Barcelona and few more top Spanish teams could scoop all the money leaving the lower teams to suffer. You have now copied the English model of fairer distribution which can only be welcomed. The old rivalry and intense completion and sheer physical nature of English football will always produce pure excitement but also produce mistakes. Any team can beat any one in England which is unique in top level football. I must admit Spanish teams have the edge in Europe at present but the gap is closing. I predict in the next few years we will see the return of the English. it can happen even to laliga teams. wat abt the 7-0 drubbing of barca by bayern in 2013. thats football. That is not true, teams like Sevilla, Villareal, Valencia, Atletic, Celta… usually do well in Europe and many times defeat the top english teams. EPL is more competitive and La Liga has better teams, that is it. 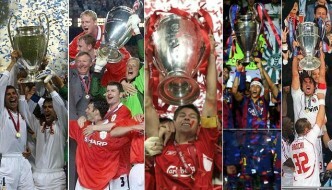 You only have to look the success in Europe to know which is best. The fact that a a team that just returned to first division wins the league does not make it a great league, if something it shows how weak the other teams are. laliga have two greatest teams in football history, those two teams barca/madrid can even dominate EPL, bundasliga etc. apart from that there is nothing interesting in laliga, ask your self why the world is following English Premier. Its because of competition. believ me Laliga will never attract the interest the EPL is attracting not matter wat they do, its just natural the EPL will always be the best to watch.